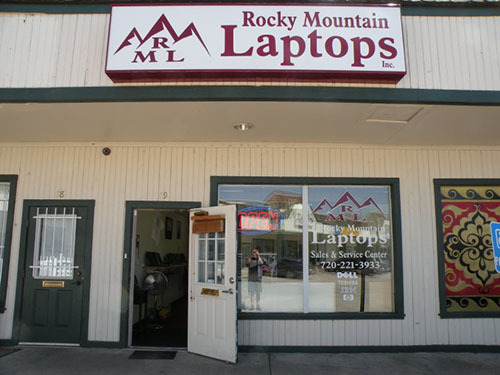 Rocky Mountain Laptops has been in business since 2008 providing high quality used laptops and computer repair services in the Denver/Aurora area of Colorado, USA. 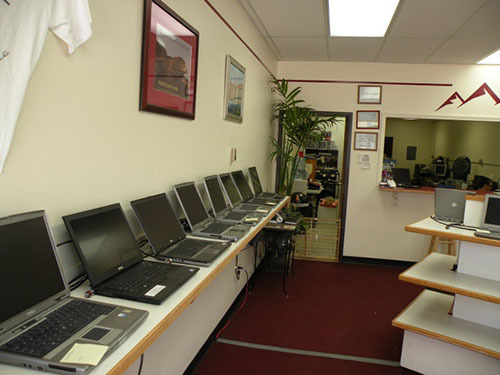 We typically have 50-100 used laptops in stock or on display, with prices starting at $199.00 and up. We go through every used laptop we sell with a fine-toothed comb to ensure each laptop is clean, fully tested, and in great condition. 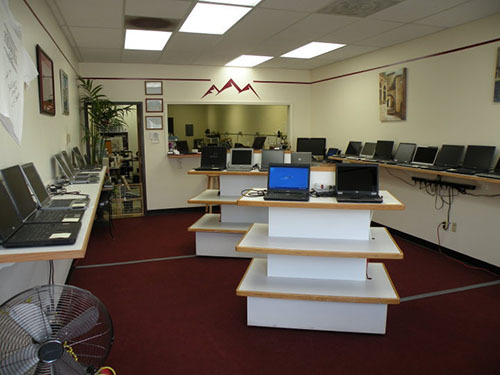 Every laptop we sell comes with a warranty. ** We also stock a large selection of laptop related products and accessories. 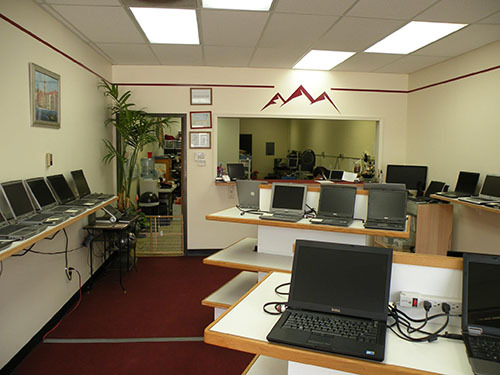 As Master Dell Certified System Experts (MDCSE), we provide a full menu of computer repair, laptop repair, and screen repair services along with general computer troubleshooting. That’s right folks, we can fix everything right here in the shop, and you get your computer back in prime condition. 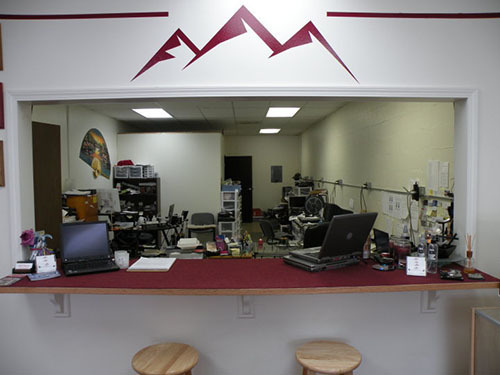 We provide free diagnostics for your laptop or desktop and always strive to go the extra mile with customer service and keep our clients coming back! 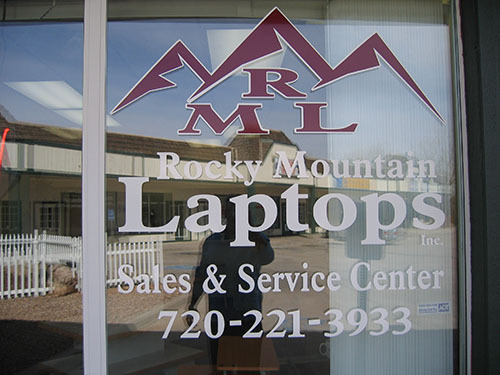 Rocky Mountain Laptops is also a great choice for business orders and corporate purchases. As Dell Authorized Resellers we are able to offer aggressive pricing on new and refurbished (outlet) Dell products. Contact us for a free consultation and free quote. 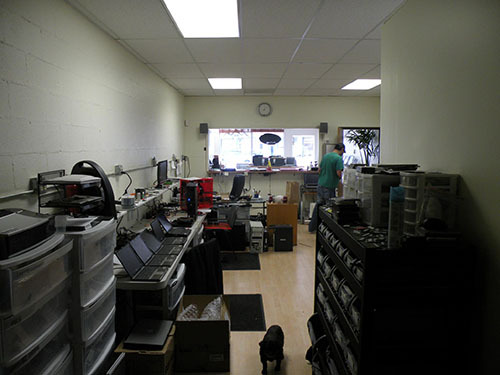 We accept Visa, MasterCard, Discover, Business POs, and Cash. 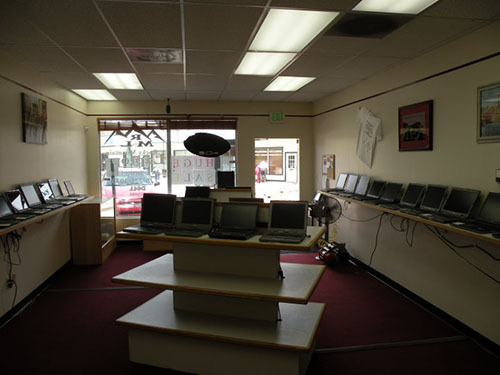 * Photos below are from our old storefront location. We now work by pickup & delivery service and pass additional savings on to our customers. ** Warranty varies by laptop. Please call or stop in for details.